in this recipe, i have basically adapted my previous cabbage manchurian and i have replaced the veggie balls with bread balls. while i was preparing i personally felt this recipe is much easier to prepare as compared to the former. also the deep fried snacks were more tastier as compared to deep fried veggie balls. hence my vote is certainly for this bread-based recipe. 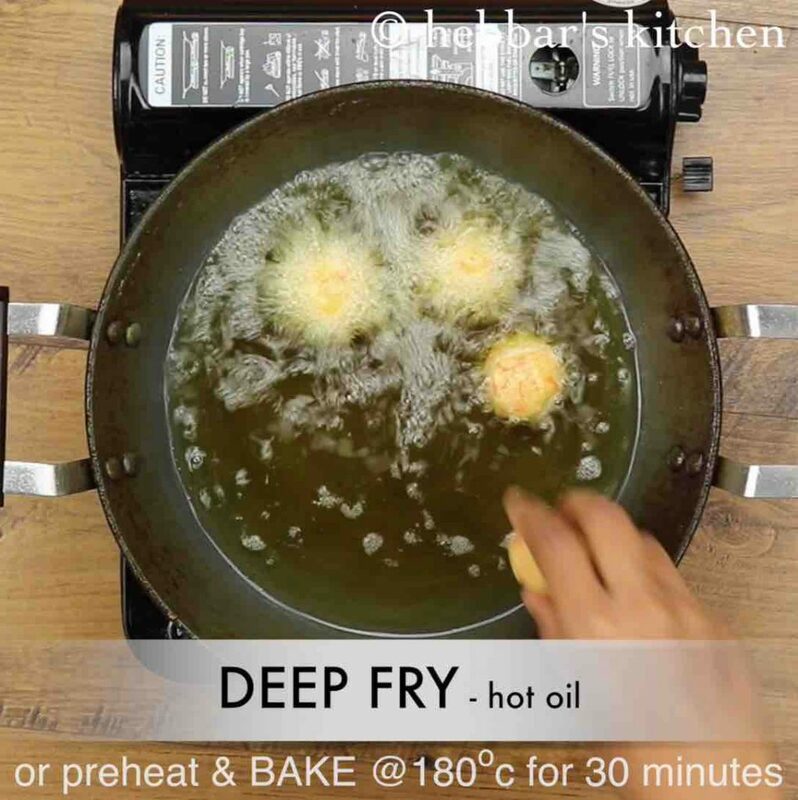 however deep frying the bread can be tricky and it may perhaps absorb more oil, if it is not shaped firmly and properly. but the rule of thumb for me is, whenever the bread meets hot oil, the result is always amazing. you name it bread rolls, bread pakora and bread vada are always popular choice. 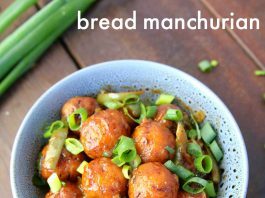 while the recipe is fairly easy to prepare, yet some easy tips and suggestions for bread manchurian. 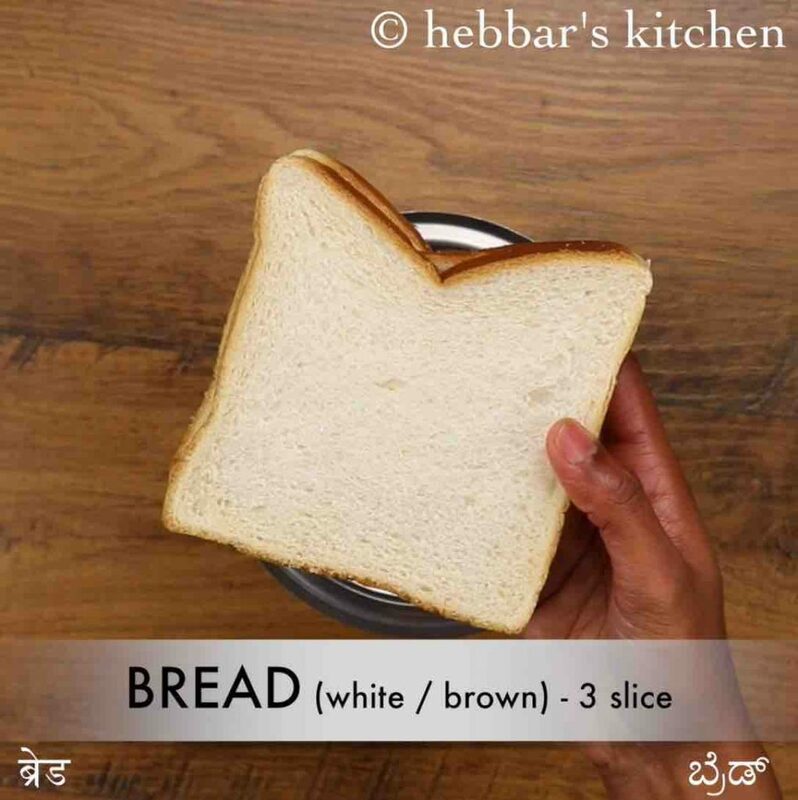 firstly, i would heavily recommend to use the traditional white sandwich bread slices as compared to the brown or wholemeal bread. basically plain flour based bread are more easy to shape and less accidents while deep frying. 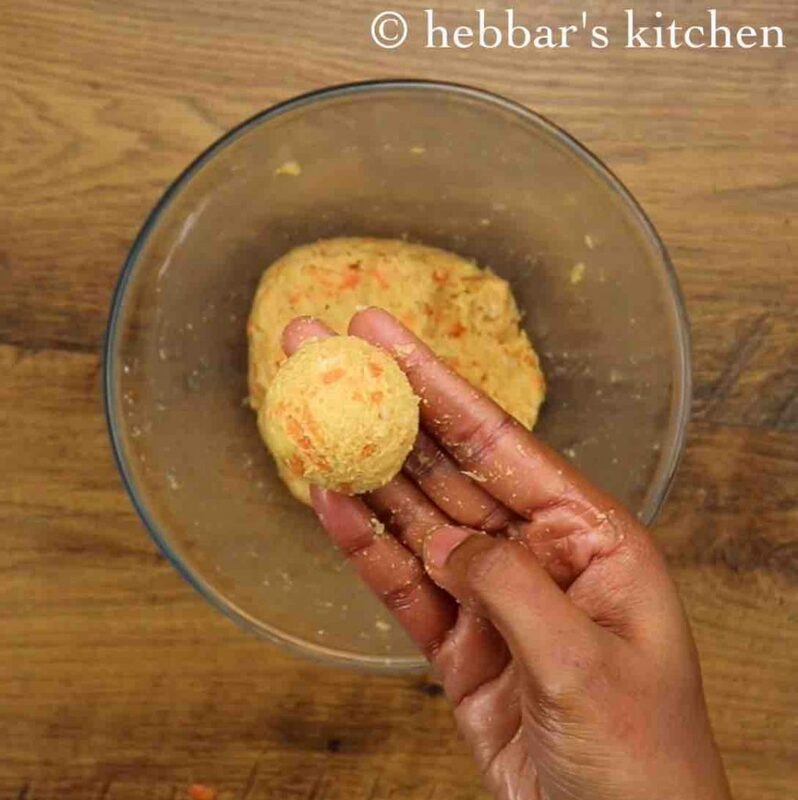 secondly, if you do not wish to deep fry these bread balls, you can even pan fry / bake or shallow fry too. 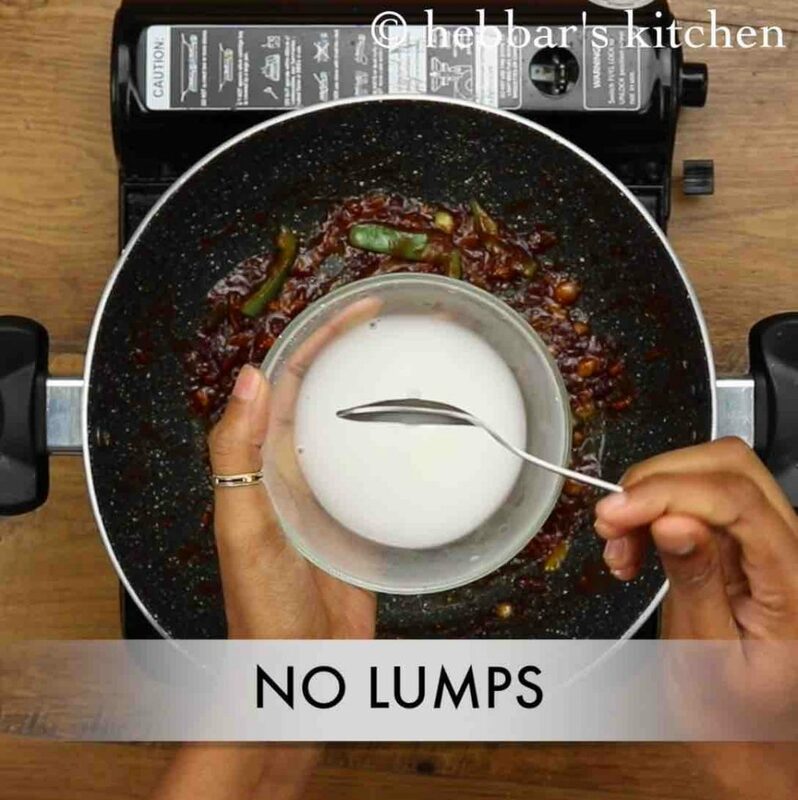 in addition you can even use appe pan to fry these balls with a half tsp of oil in in each appe mould. lastly, i have prepared the dry version of manchuri, it can also be prepared with gravy too. 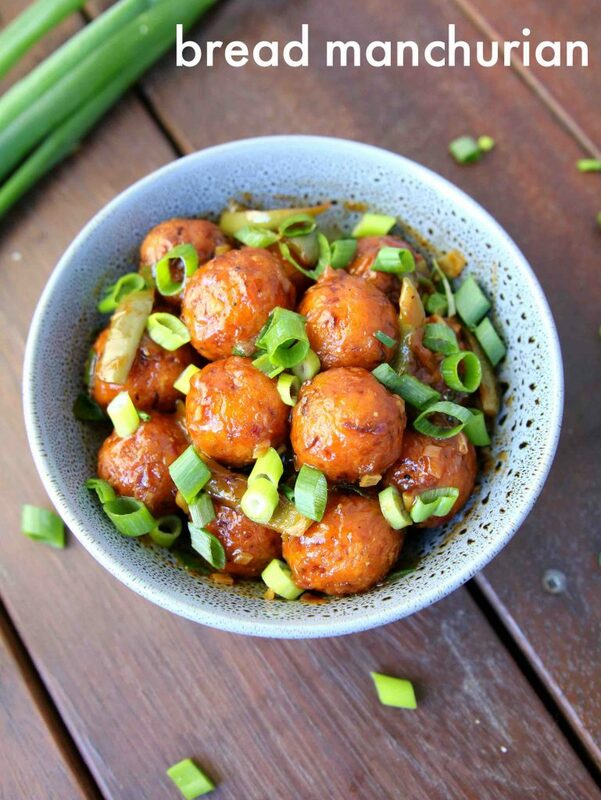 refer my gobi manchurian gravy recipe for more info about the gravy. firstly, cut 3 slice bread and transfer to a blender. 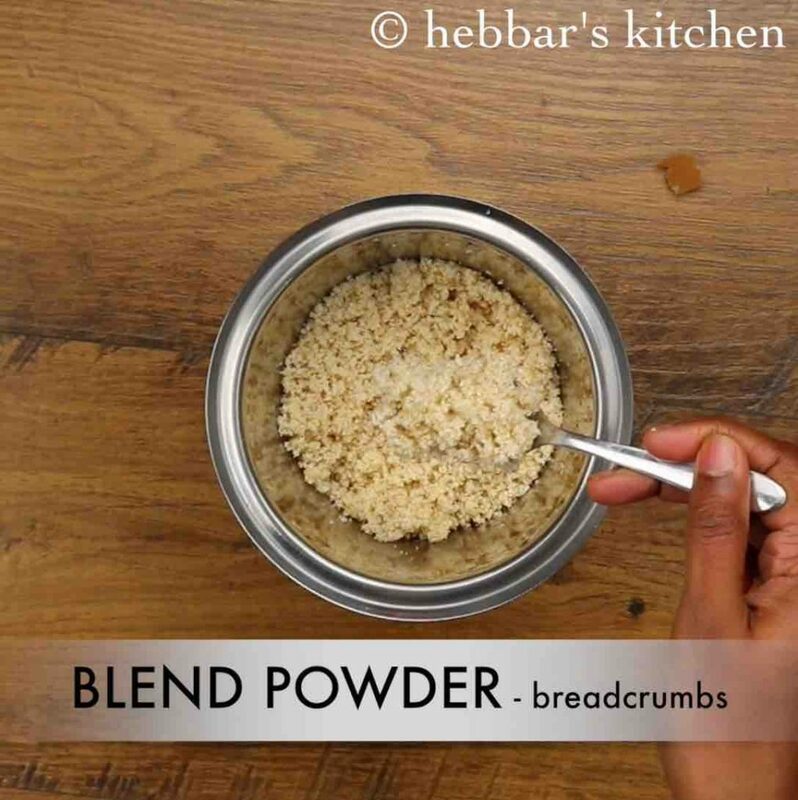 blend to a fine powder (breadcrumbs) without adding any water. 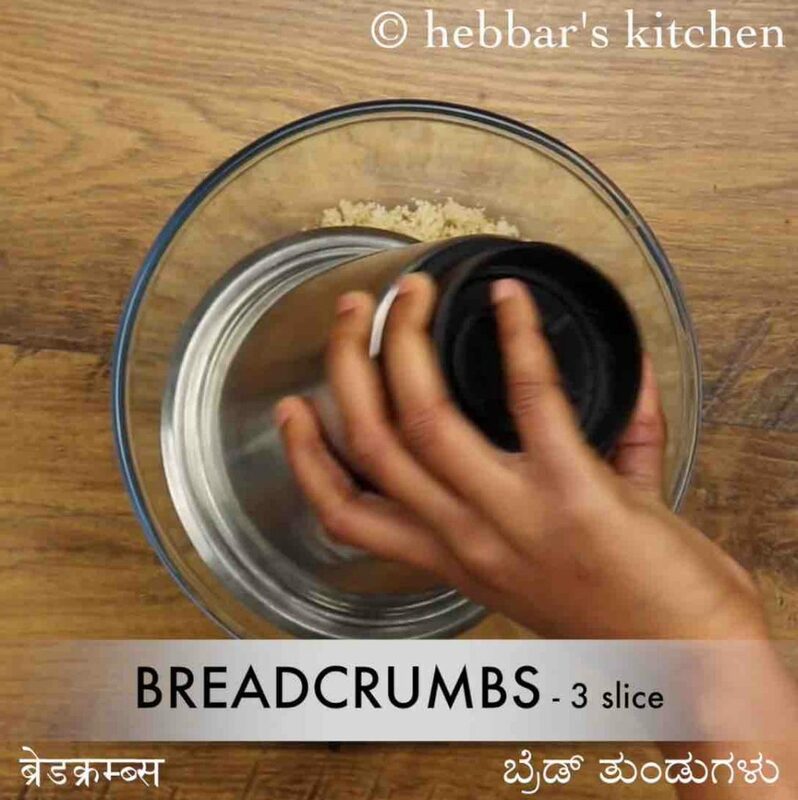 transfer the prepared bread crumbs into a large mixing bowl. 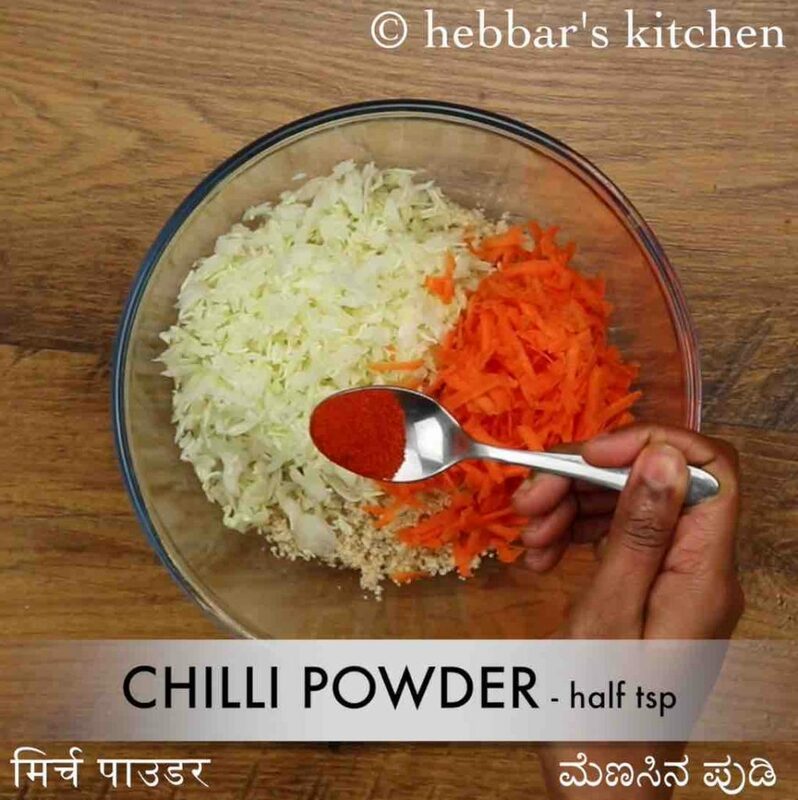 also add 1 cup cabbage, ½ cup carrot, ½ tsp chilli powder and ½ tsp ginger garlic paste. further add ¼ cup corn flour, ¼ tsp salt and 2 tbsp water. 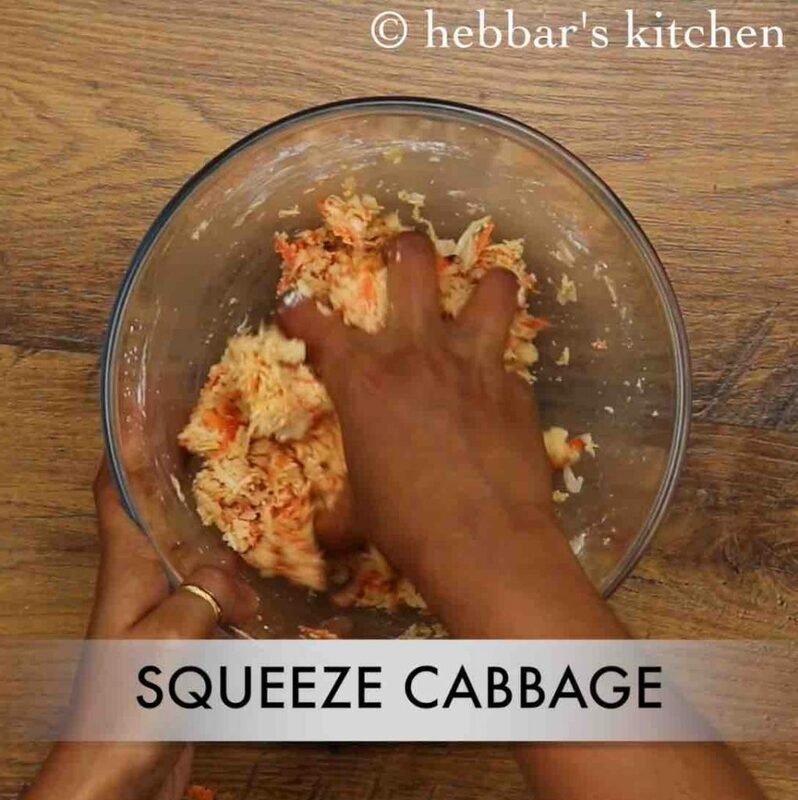 combine by squeezing out cabbage well and form a dough. now grease hand with oil and prepare round sized small balls. deep fry in hot oil till it turns golden brown. now add fried manchurian balls, to the sauce and mix well. 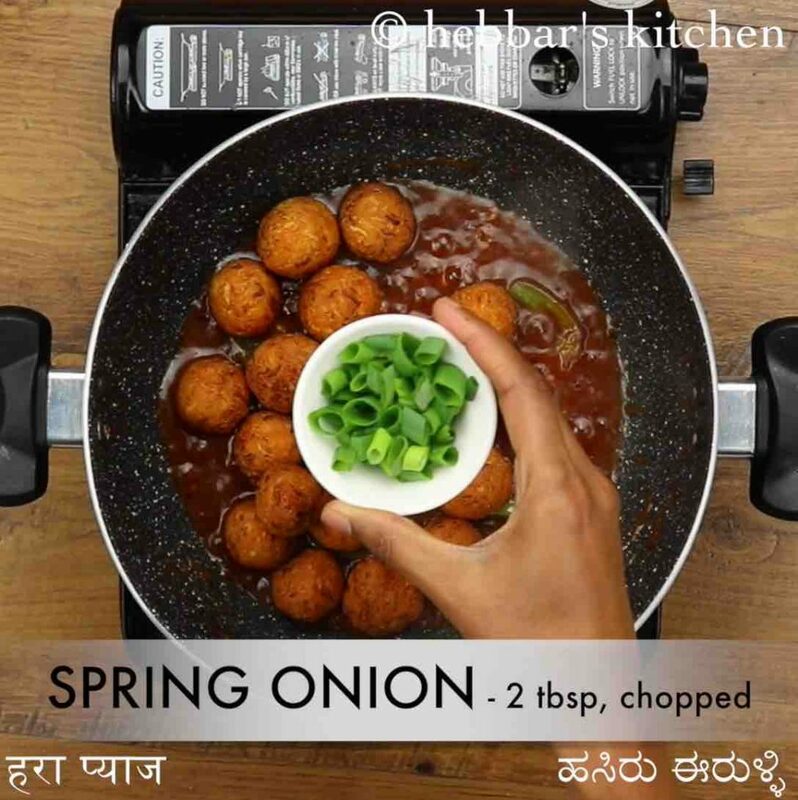 finally, bread manchurian is ready to serve by garnishing with chopped spring onions. 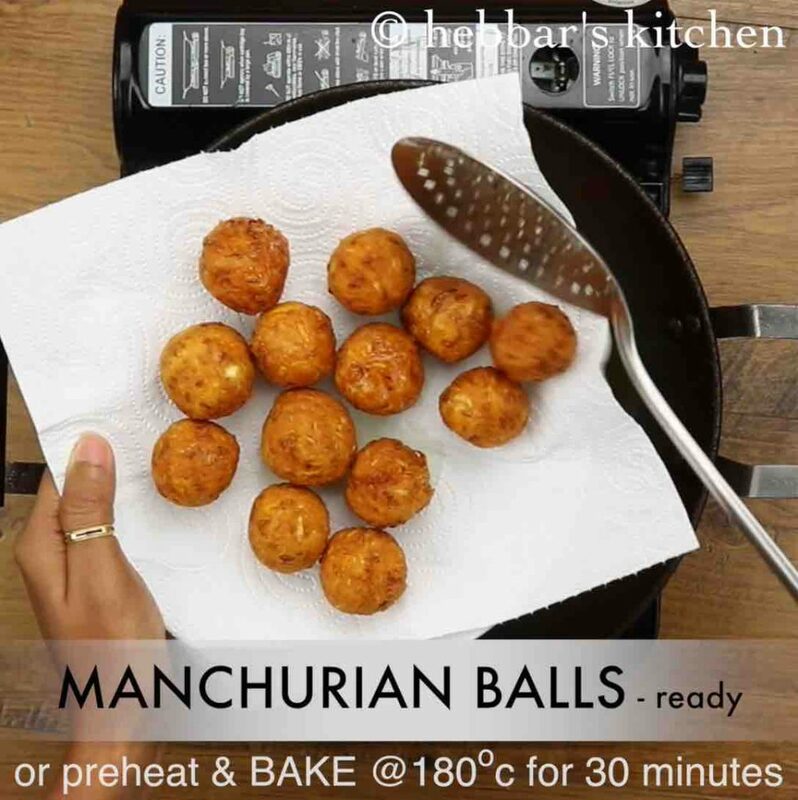 deep fry in hot oil or preheat and bake at 180 degree celsius for 30 minutes or till manchurian balls turn crisp and gets cooked well completely from inside. 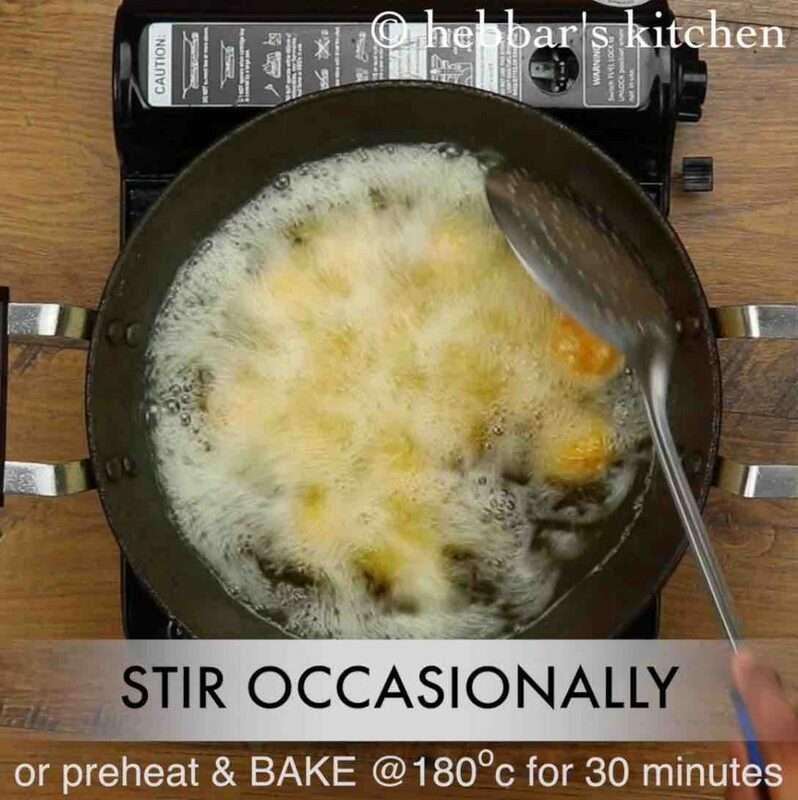 stir occasionally, keeping the flame on medium till the manchurian balls turn golden and crisp. drain off the fried manchurian balls over kitchen paper and keep aside. 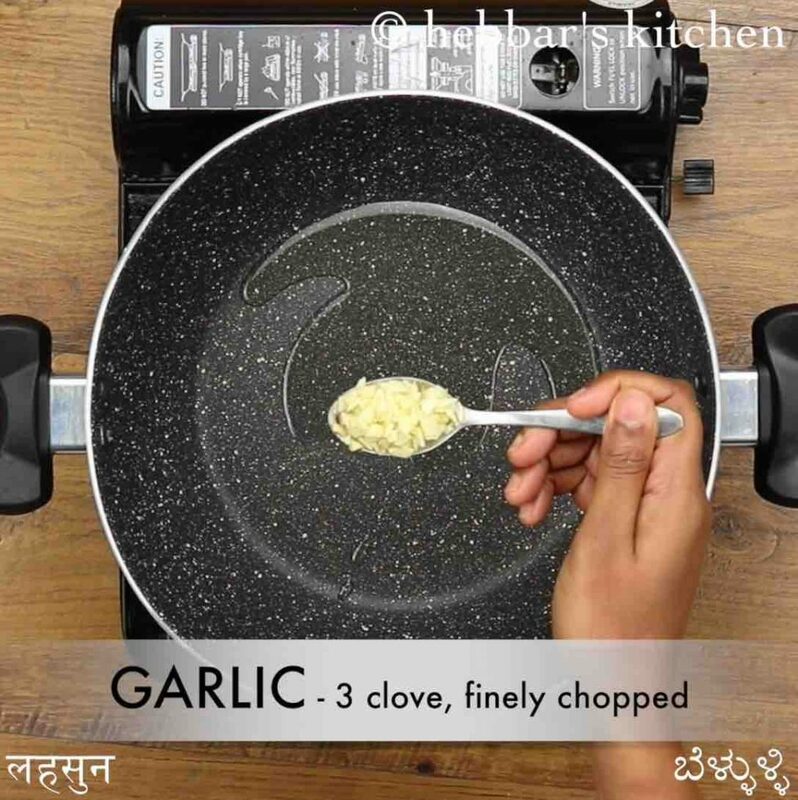 now in a large kadai heat 3 tsp oil and saute 3 clove garlic, 1 green chilli. 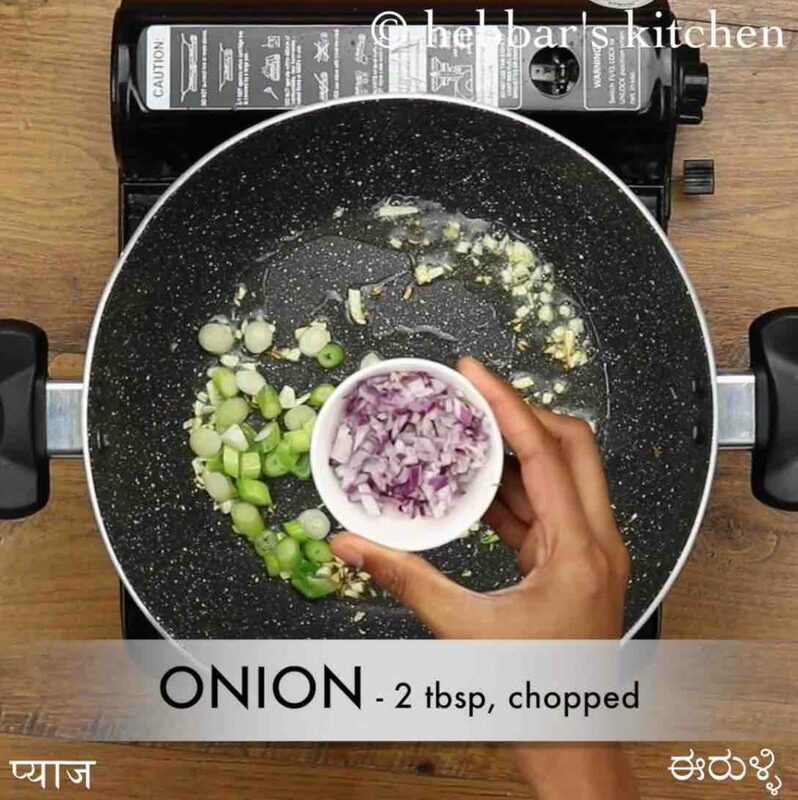 also saute 2 tbsp spring onions, 2 tbsp onion. 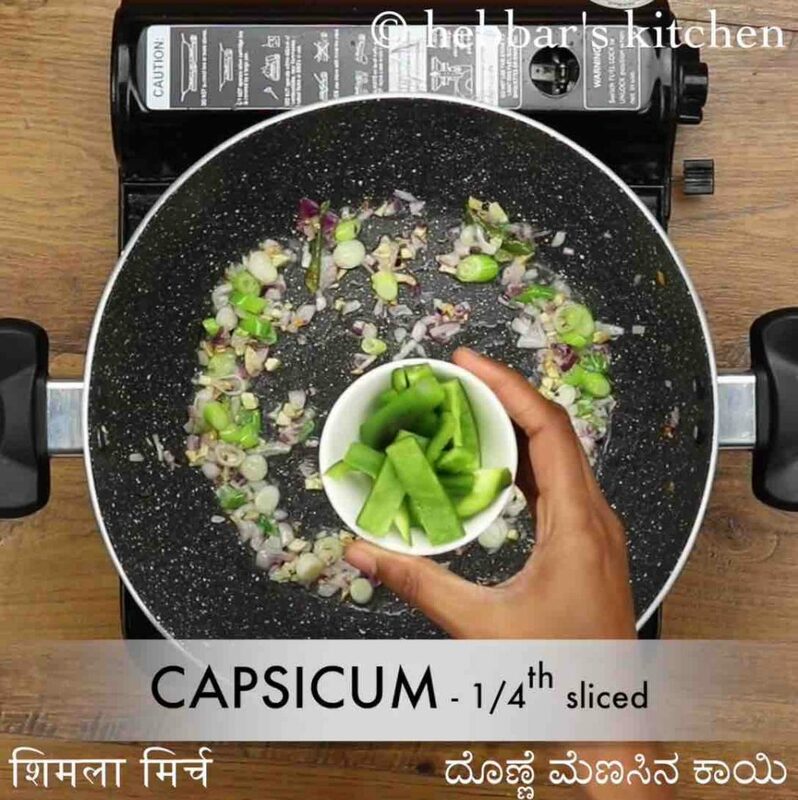 additionally, add ¼ sliced capsicum and saute well. 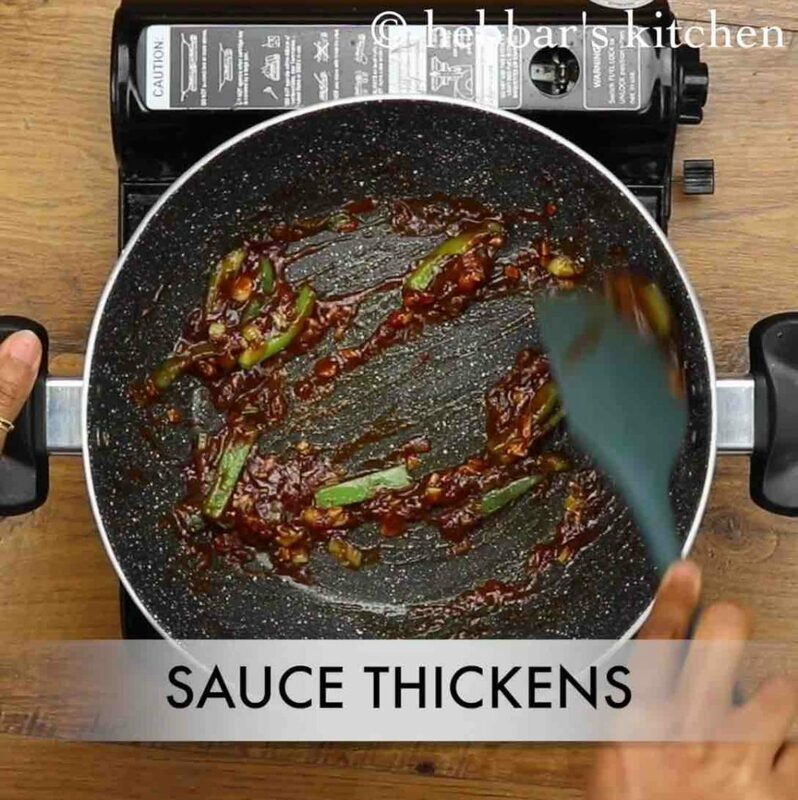 further add 2 tbsp tomato sauce, 1 tsp chilli sauce, 1 tbsp vinegar, 1 tbsp soy sauce, ¼ tsp pepper and ¼ tsp salt. 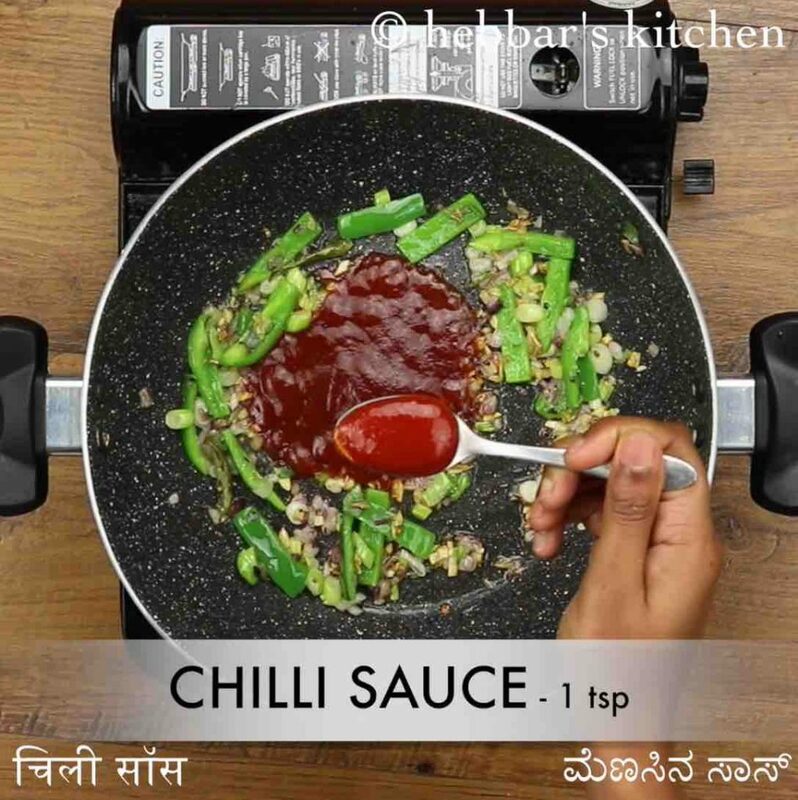 mix on high flame till the sauce thickens. 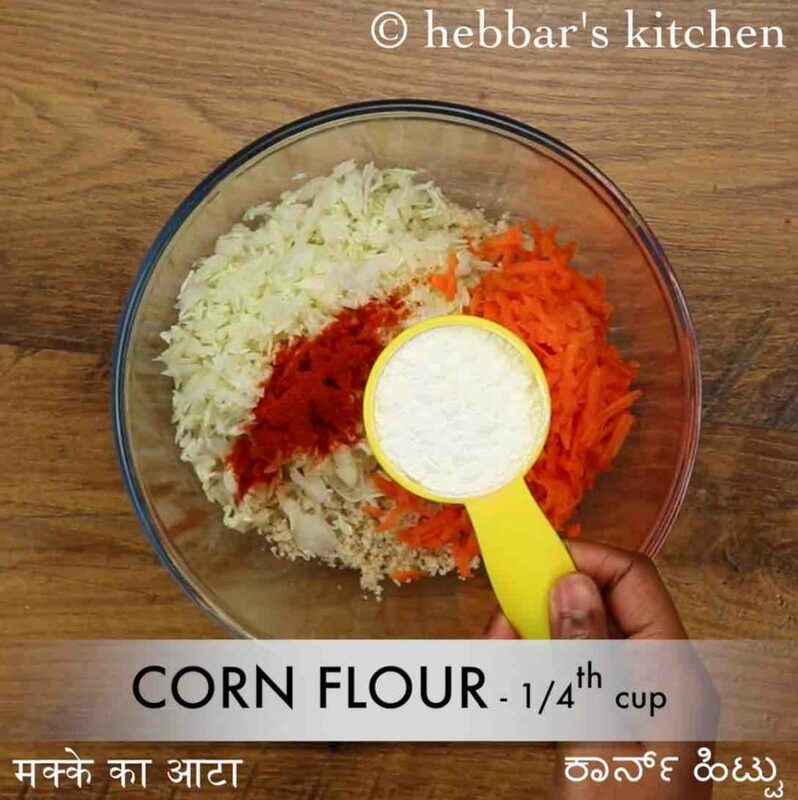 further, prepare corn flour slurry by mixing 1 tsp cornflour water in ¼ cup water. 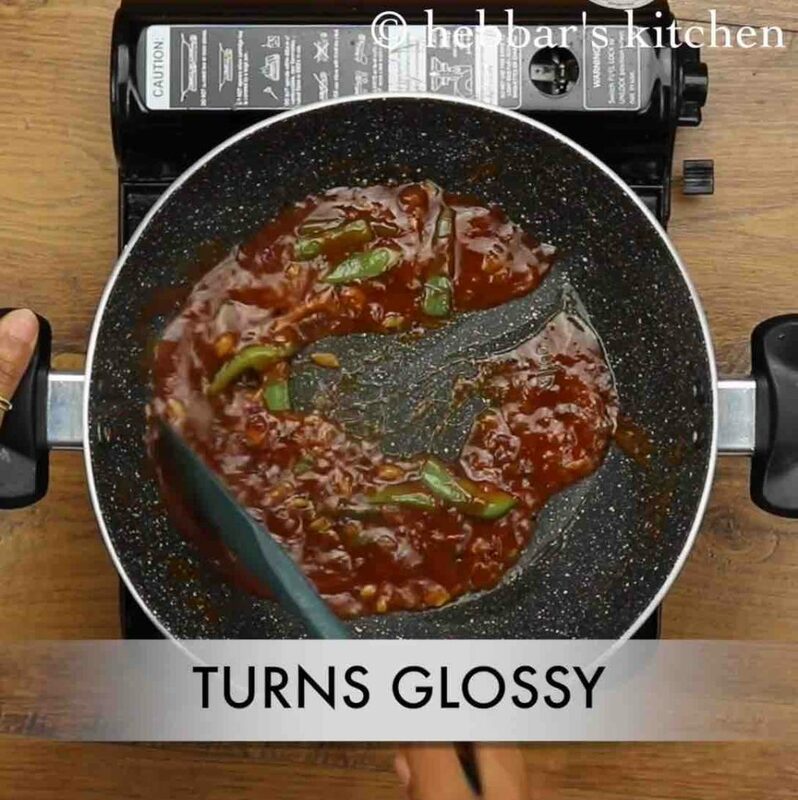 get to a boil by mixing continuously and till the gravy slightly thickens and turns glossy. now add fried manchurian balls, 2 tbsp spring onions and mix gently. firstly, adjust the consistency of gravy by increasing the cornflour water. also, add red colour to make the gravy more bright and colourful like served in restaurants. 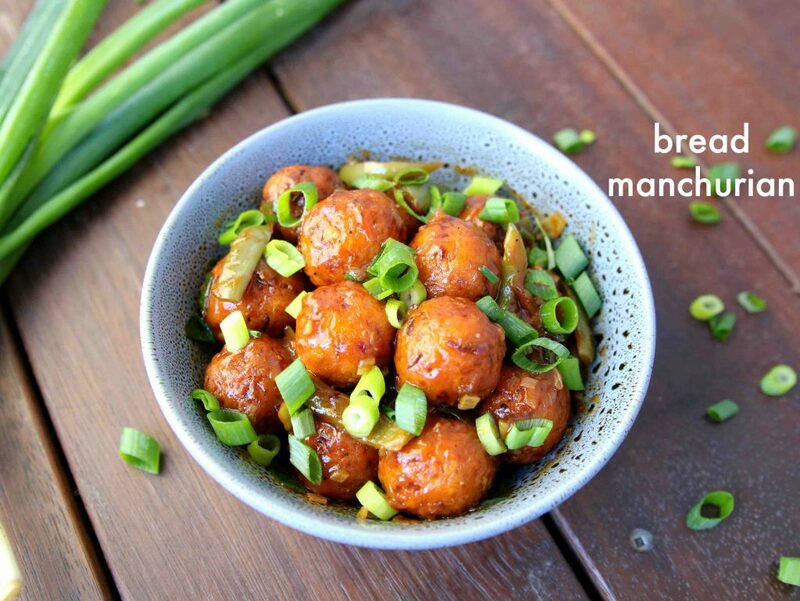 additionally, fry the bread manchurian balls in hot oil to prevent from oil absorption. finally, bread manchurian gravy tastes great when served hot.